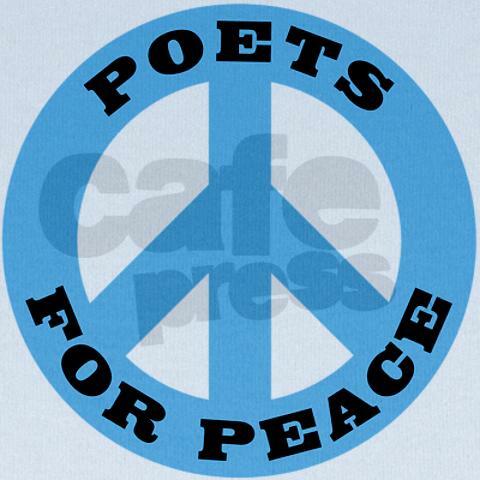 Poets for Peace IV – Free!!! Poets Against War joins SAPA again to fight against war and bring about peace! This series of readings is getting people motivated to speak up and stand up for social justice. Join us for this entertaining summer edition of POETS FOR PEACE! JOSHUA CLOVER is a poet, professor, critic, and an outspoken activist for social justice. Clover has appeared in three editions of Best American Poetry, is a two-time winner of the Pushcart Prize, and recipient of an individual grant from the NEA; his first book of poetry, Madonna anno domini, received the Walt Whitman Award from the Academy of American Poets. Clover is a graduate of Boston University and the Iowa Writer’s Workshop. He was the distinguished Holloway poet-in-residence at the University of California, Berkeley in 1999-2000. His work appears regularly in the Village Voice, and The New York Times. Additionally, he is a former senior writer for Spin. FRANCES KAKUGAWA was born and raised on the Big Island of Hawaii in Kapohoa which was demolished by lava when she was 18 years old. She has taught for many years in the Michigan and Hawaii public school systems; conducted language arts workshops for teachers in Micronesia and in Hawaii; and was a curriculum writer and lecturer for the University of Hawaii. In 2002, she was recognized in Living Legacy: Outstanding Women of the 20th Century in Hawaii. In 2004, she received the Hawaii Publishers Award for Excellence in Children’s Books. Today, she continues to write, conducts writing workshops, and gives lectures on caregiving and writing throughout the U.S.
KEITH LOWELL JENSEN is a professional comedian. The Washington Post referred to Jensen’s work as “a demented masterpiece”. KLJ was a featured guest on Spike TV’s “Manswers”. He has toured the U.S. and Canada as an MC for Spike TV and Mike’s Festival of Animation. He toured the US and Canadaa as a member of acclaimed sketch comedy troupe “I Can’t Believe It’s Not Comedy”. Additionally, Jensen is a member of the wildly popular “Coexist Comedy Tour” — which has appeared at many popular venues. When not on stage performing comedy Jensen likes to panhandle dressed as a banana, which resulted in the documentarty film “Why Lie, I Need A Drink”. Jensen’s book, “Oh Holy Day”, was released in 2006. Two new books are in the works. Keith Lowell Jensen is probably the preachiest atheist you’d ever want to meet. JOANN ANGLIN is a member of Los Escritores del Nuevo Sol, the Writers in Residence at La Raza Galeria Posada. Other affiliations include California Poets in the Schools, the Writers’ Circle, and Third Sunday Poets. The poet has worked with the high school program, Poetry Out Loud, and just started a Creative Aging project at a senior residence facility. Anglin’s chapbook — Words Like Knives, Like Feathers, was published by Rattlesnake Press. The author has had poems in numerous publications, including The Sacramento Anthology and Voces del Nuevo Sol. CRAWDAD NELSON has had his poems published in numerous journals and anthologies, as well as in several collections of his own work, including: 100 Poems Against The War (24th Street Irregular Press, 2006), Bigfoot Lives (Flyway Press, 2005), The Bull of the Woods (Gorda Plate Press, 1997), Truth Rides to Work (Poetic Space Books, 1993), Fresh Water (Pygmy Forest Press, 1989), and Big Drink (24th Street Irregular Press, 2009). Nelson is a Baltic American, born on the coast of California. Journalist, naturalist, and greenchain puller, Nelson often tutors students in English and exhibits his photography. The poet has twice been nominated for the Pushcart Prize, and is a frequent speaker at college creative writing classes. GORDON PRESTON edited an off-campus poetry magazine named Cafeteria and began to be published and participated in poetry readings as a college student. Later, in Modesto, he was a member of Calif Poets-in-the-Schools. At age 54, his first book, a limited edition of poetry, “Violins,” was published by Finishing Line Press (Georgetown, Ky.). He has long hosted poetry readings at the Mistlin Art Gallery and was assistant editor of a journal called “hardpan”. SEAN KING is a spoken word artist who highlights race and social justice issues in his passionate poems. He has appeared at many venues across the country, always clearly noting a history of oppressed peoples in America. King has three books of poetry. King created the California Health Fact Book for the Office of Statewide Health Planning and Development. Instrumental in creating and advising on-campus and community based organizations in the Sacramento area, King has also served for many years as a mentor to numerous youth in the Northern California area. He is a member of Omega Psi Phi Fraternity. LEONARD CAMPOS is a psychologist, anti-war activist, and community volunteer. He received his Ph.D. in Clinical Psychology from Michigan State University in 1963, and was Assistant Professor at the University of the Pacific until 1966, before working as a staff psychologist for the California Youth Authority until 1970. In 1971, he became a Teaching Member of the International Transactional Analysis Association (ITAA), and in 1981, founded the Sacramento Institute for Redecision Therapy in order to assist therapists with continuing education and supervision in this new method of therapy. As a long time advocate for peace and social justice, he has been a featured reader for Poets Against War and Poets for Peace. LAURA BAUMANN OTSUBO is an attorney with the California Secretary of State’s Office. She is a published poet and has been a participant in the Sacramento Poetry Center’s workshop. Ms. Baumann Otsubo works as a board member for nonprofits, and has been a community leader on important issues ranging from animal sanctuary to arts programs. She received her Juris Doctor degree from the University of Minnesota, her masters from UC Davis, and her B.A. in Economics, from the University of Wisconson-Madison. JENN ROGAR plays her anti-war folk and rock music for audiences far and wide. She is preparing to pass the bar and is a graduate of Lincoln Law School and UC Davis. Rogar has taught history in the Sacramento School District for fifteen years. Past Poets for Peace: Francisco Alarcon, Joshua McKinney, Molly Fisk, James DenBoer, Susan Kelly-deWitt, Julia Connor, William O’Daly, V.S. Chochezi, Julia Levine, Taylor Graham, Traci Gourdine, Poet Laureate Allegra Silberstein, Poet Laureate Bob Stanley, Patrick Grizzell, James Lee Jobe, Jennifer Pickering, and Lawrence Dinkins, Jr. If you would like to help sponsor this event, please contact Frank. We could use financial and volunteer assistance with refreshments, promotional materials, etc. Musicians are encouraged to participate. Please call 916.606.4303 to see if we might be able to enlist your support! Posted on July 4, 2011, in Upcoming Events. Bookmark the permalink. 1 Comment.